Rotary Brushes A rotary brush is used with a machine that spins it on a cylinder or on a ring with the bristles pointing downwards. These brushes can be found on automatic shoes polishers, street cleaners, conveyor belts and more. 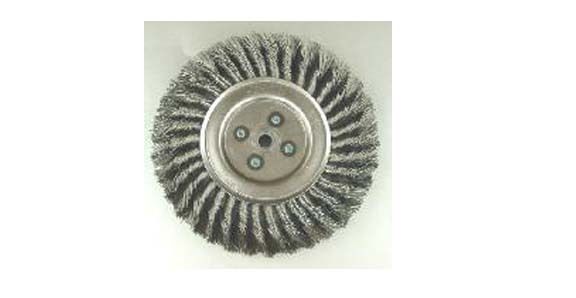 As mentioned above, rotary brushes are used on most street sweeping machines to remove dust and debris from the street. A series of rotating brushes points downward on the front of the vehicle, gathering up dirt as the brushes spin and make contact with the pavement. A street sweeper will usually have gutter brooms on the outside that spin inward, guiding the dirt to a large rotary brush that sweeps it into the street sweeper's vacuum system. Rotary Brushes – West Coast Brush Mfg., Inc. Very large rotary brushes mounted on a long cylinder are also used to clean runways at airports. A runway sweeper removes any unwanted dirt and debris from the surface of the runway, reducing the chance of accidents or other complications during takeoff and landing. 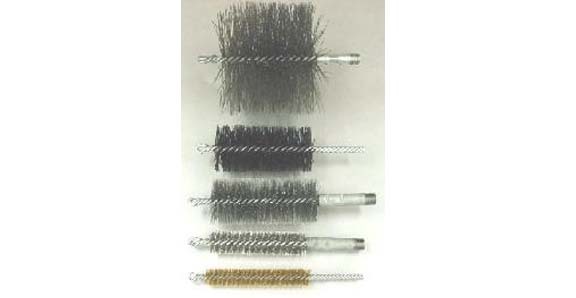 A rotary brush can also be made using stainless steel wire for heavy duty cleaning and deburring applications. When a rotary brush is mounted on a conveyor belt, it is typically used as part of an automated cleaning process. Parts or complete products are moved beneath the rotary brush along the conveyor belt and they are scrubbed as they come into contact with it. One example of this is in potato processing and packaging. After the potatoes have been sent through a water wash they are moved under a rotary brush that removes any gritty dirt from their surface before they are dried off and packaged. 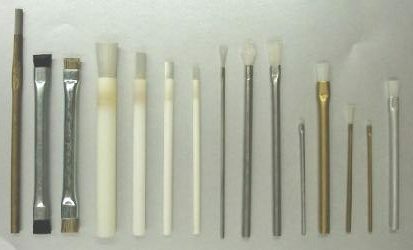 Over time the bristles of the brush will wear down and it will need to be replaced in order to clean effectively in whatever application it is being used for.